20th November. Posted in News. 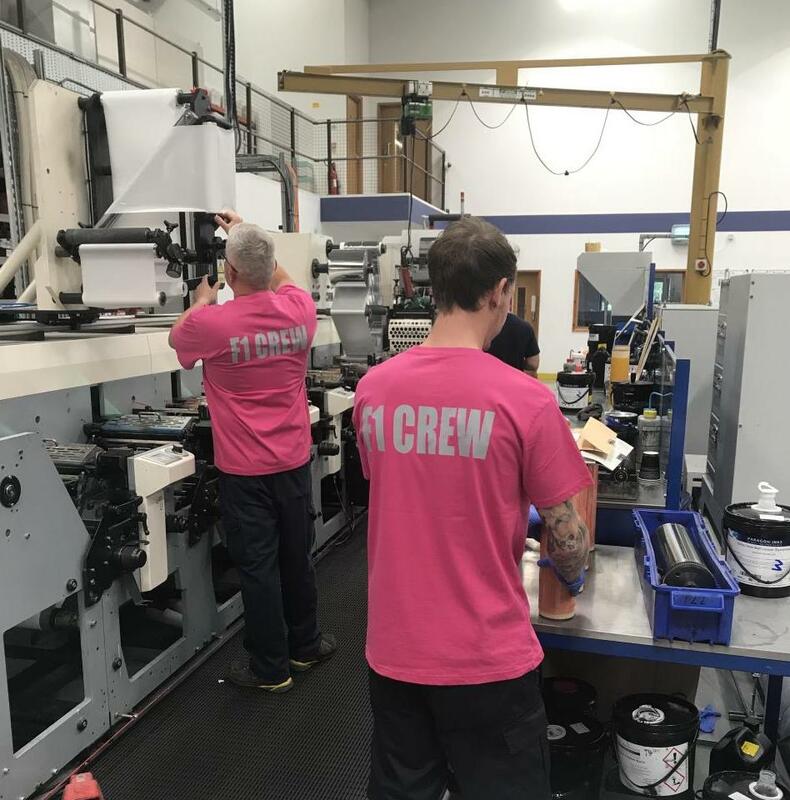 Leading print manufacturer, Hamilton Adhesive Labels is employing new working practices, similar to those used in Formula 1, to enhance its sustainability and efficiency to accommodate evolving market demands and customer priorities. Hamilton has employed a policy of finessing print changeover and adjustment techniques to minimise make ready and wash up time, while also boosting accuracy by using a new reliable, predictive print system. The new production ethos takes examples from the way Formula 1 pit crews have all operators and equipment ready to begin work, and end, within seconds. This type of organisation prioritises proactive preparation by making sure all equipment is entirely in order before the work begins. The production team at Hamilton has developed complete skill and asset flexibility to ensure its performance is continually challenged and improved, and each operator understands the role of every aspect of the business. This empowers employees to understand how their role is critical to efficient overall performance. “Whilst fundamental, implementing thorough equipment, materials and maintenance planning, or even properly prepping colour matching, are steps that are often overlooked by printers, who can be inclined to cut corners to meet deadlines. However, just as the slightest mistake can be detrimental in the high-octane world of F1, small oversights in label printing can completely derail a project and damage your reputation,” he added. Hamilton keeps its process constantly fine tuned by perfecting fingerprinting and ink laydown through thorough staff training and performance analysis. This enables the company to enhance efficiency by curtailing the misuse of inks, materials and energy. The new principles at Hamilton are already helping the company to reduce their carbon footprint by sending less waste to disposal facilities and reducing unplanned equipment downtime, while promoting the environment, productivity and profits.